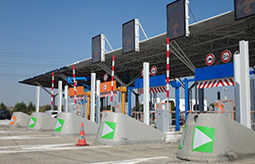 Since its creation in 1996, ACTOLL has been developing information systems used by motorway and urban tolls and by public transport ticket dispenser technologies. 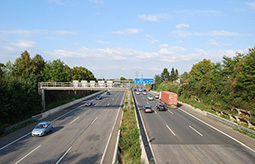 The company works under mandate of the Autorités Organisatrices de Transport Public (Public Transport Organising Authorities) and of the entire Sociétés d’Autoroutes Françaises (French Motorway Companies). With our know-how in the field of public transport and tolling systems, we have been able to secure a position as a major player in mobility without borders, bridging different lines of business. A significant part of the company’s efforts goes into R&D. It’s an investment that allows us to offer innovative products and services, geared towards satisfying our customers’ every need. We’re also an important stakeholder in Grenoble’s digital ecosystem (Digital Grenoble, Digital League); our participation enables us to promote various partnerships and exchanges. ACTOLL is a member of the worldwide Minalogic and LUTB competitiveness centres. ACTOLL is located in the heart of the first French technopolis “Inovallée” in Meylan. 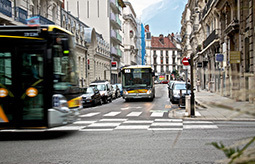 ACTOLL develops its export business and is opening a subsidiary in Quebec, ACTOLL Intelligent Transportation Systems Development Corporation Inc. 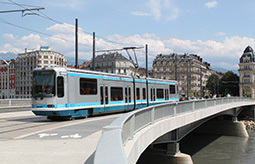 This creation is part of ACTOLL’s international development strategy to provide innovative solutions to transport networks in France and abroad. YOU HAVE A PROJECT? CONTACT US.